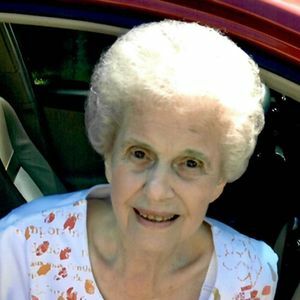 Euna Mae Basso Deliberto, passed away peacefully at her home on March 10, 2019. She was born in Independence, Louisiana on July 31, 1923 to the late Benedict and Martha Basso. Euna loved her flowers and working in her flower beds whenever the weather permitted. One of her proudest moments was winning the Garden of Month for her roses. She was preceded in death by her husband, Philip Joseph Deliberto; her son, Wayne Joseph Deliberto; daughter in law, Paulette Downey Deliberto; grand-daughter, Ashley Elizabeth Deliberto; her parents, Benedict and Martha Basso; and her sisters, Hazel Saizan and Gertrude Monistere. She is survived by her daughter, Barbara and husband David Burns; and her grandsons who she referred to as her hearts- Christopher Logan Burns and Philip Justin Burns and his wife Mary Caitlin Feritta Burns. She is also survived by her sister Evelyn Pecoraro and her brother Norman Basso, in addition to numerous nieces and nephews. Miss Euna, as she was known to her many "unofficial family" members, was blessed with the friendship of many that she "adopted" as family. Visitation for family and friends will be at Holy Ghost Catholic Church, 600 North Oak Street Hammond, Louisiana 70401, on Wednesday, March 13, 2019 from 9:00 am until the Funeral Mass begins at 11:00 am. Interment will follow at Rose Memorial Park Cemetery in Hammond, Louisiana. In lieu of flowers, the family has requested donations be made to the American Cancer Society for Pancreatic Cancer. Cnr. Pecan St. & Western Ave.
Barbara, we are sorry for your loss. Your mother was a great inspiration for all of us. Please share our condolences with David, Chris, and Justin and his wife, Mary Caitlin.